Abuse stories are always disturbing, as they should be to someone who believes in treating others, especially those who are most vulnerable, with kindness, love, and care. As an Oakland elder abuse law firm, our team has heard about some upsetting occurrences. It is particularly shocking when the abuse comes at the hands of people who should have been a source of comfort to the victim or whose position is one we usually associate with trust. Late Friday, according to an article in The Oakland Tribune , an Alameda County judge was arrested on charges of financial elder abuse and perjury, charges based on allegations that he secretly stole from a ninety-seven year old woman. Judge Paul Daniel Seeman, age fifty-seven, had been a respected presence on the bench and had been admired for his work helping people in need. He graduated from UC Berkley’s Boalt School of law and began work as a private sector attorney in 1980 with a focus on juvenile justice before moving to a position as a referee pro-tem for Alameda County juvenile court. Seeman became a court commissioner in 2004 and ascended to the judicial bench upon nomination by Governor Schwarzenegger three years later. As a judge, he served in the county’s drug court before moving to a role presiding over misdemeanor arraignments. Attorneys who appeared before Seeman spoke well of him, noting he seemed to really want to help people and was willing to give every defendant a chance to be heard. Seeman’s neighbors also praised him and expressed doubt that he could be involved in taking advantage of another individual. According to other news sources, Anne Nutting was Seeman’s neighbor. At some point, per the allegations, the Judge took over the management of finances for Nutting and her husband. Nutting’s husband died in 1999. Seeman is accused of slowly stealing money from that time until Nutting’s own death in April 2010 at the age of ninety-seven. One source said that the theft totaled at least $1.6 million. Nutting died with no blood relatives but her death certificate lists fifty-three year old Ali Mehrizi as her husband and the trustee of her estate. Berkley police have said that Mehrizi is not a suspect. Attorney Michael Markowitz is representing Seeman and has declined to comment on the case. Seeman has been released on $525,000 bail. A plea hearing is scheduled for July 3. Physical abuse is, of course, horrifying. Nonetheless, it is important to remember that abuse can take many forms. 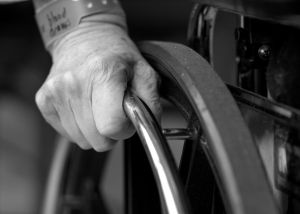 Our experienced Northern California elder abuse lawyer can help victims of financial abuse as well as cases involving physical abuse or neglect. If you suspect someone you care for is being abused in any fashion, or if you believe you are a victim yourself, please call for a free consultation. Help is available and no form of abuse should be tolerated. National Center on Elder Abuse – A multi-disciplinary group that is part of the U.S. Administration on Aging. Website includes resources for victims and those concerned about possible abuse of a loved one.